Cheyenne Artwalk is the community’s monthly celebration of artists and their work. During Artwalk, Cheyenne galleries, businesses, restaurants and other places showcase a local or regional visual artist or musician, accompanied by light food and beverages. Cheyenne Artwalk patrons visit the venues on an unstructured schedule, walking, driving or riding the trolley to each location. Cheyenne Artwalk take place the second Thursday of each month from 5:00 – 8:00 pm. 2019 marks the ninth year for Cheyenne Artwalk. 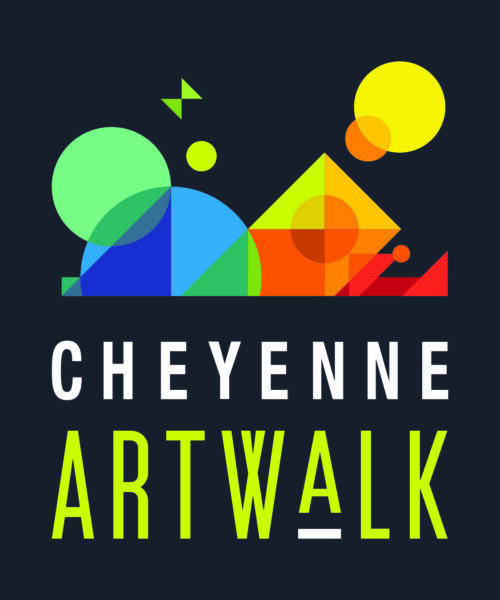 Cheyenne Artwalk addresses a specific Arts Cheyenne strategic and programming goal: to raise the profile of Cheyenne and regional creatives and provide opportunities to share their work, their processes and their passion with patrons. Artwalk artists are some of Cheyenne and the region’s most creative individuals. They’re always thrilled to show their unique interpretations. Artwalk venues are businesses and organizations committed to vitality and creativity in Cheyenne. Cheyenne features a growing, vibrant arts community. Cheyenne Artwalk is an example of how the community celebrates its creativity! Interested in Supporting Cheyenne Artwalk? Cheyenne Artwalk attracts hundreds of people every season and we’re committed to keeping it a free event for the community. Your financial support can help. Please let us know if you’re interested in becoming an Artwalk Sponsor!